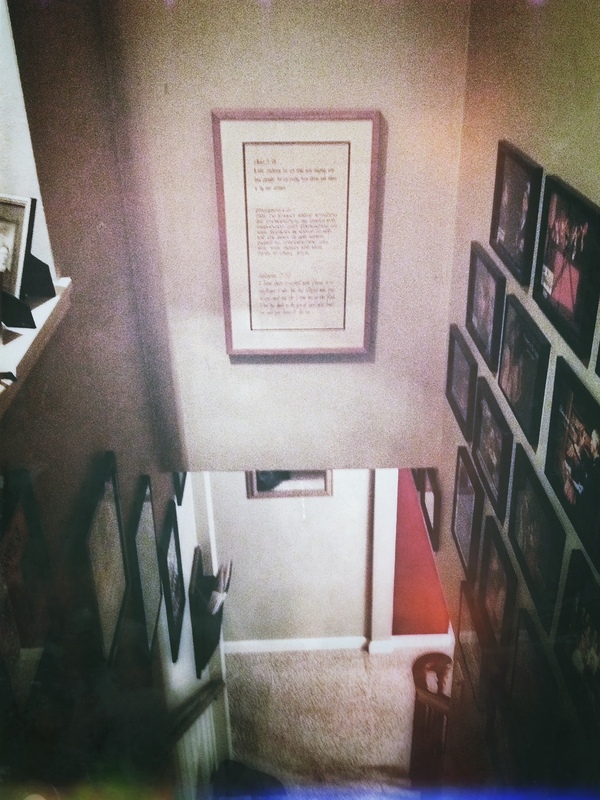 On the stairway leading d0wn to the main floor of our home hangs a frame in which three different verses from God’s Message are hand written in three different calligraphy fonts. It was a gift to me from one of my brothers, who penned the verses himself and had them framed as a college graduation gift. The three verses were ones that I had memorized as a young follower of Jesus. They were verses I considered to be spiritual stakes in the ground and they took on deep personal meaning about who I wanted to be and how I wanted to live my life when my spiritual journey and my life journey were in the early stages. One of those verses was the verse above from today’s chapter. It has been a quarter century and those verses have hung in every one of a dozen or so places I have called home. The paper is yellowing with age. The frame shows wear. Each day I pass it countless times as I walk upstairs to my office and back downstairs again. Every time I catch sight of it in my peripheral vision I remember the three verses. They go through my head once more and my heart touches them like a compass seeking true north. I think about where I started in my journey. I think about where I am today. I think about where I am heading. A lot of water under the bridge; I’ve journeyed far since the day I first opened my gift. I’ve attempted short cuts that proved tragic dead ends. I’ve stumbled and fallen, and have gotten back up again. I’ve seen much, heard much, and lived much. I’ve experienced good times and bad. I’ve struck out more times than I’ve gotten on base, but I’ve also knocked one or two out of the park. I’m older. My hair seems to turns more gray with each passing day. I’m losing my hearing at a sad, rapid rate. Though blessedly healthy, I don’t have the strength or stamina that I used. I am nowhere near the waypoint I thought the journey was taking me when I was young and naïve (and that’s ultimately a good thing). I am crucified with Christ. It is no longer I who live, but Christ who lives in me. This life that I now live in the flesh I live by faith in the Son of God who loved me, and gave Himself up for me.